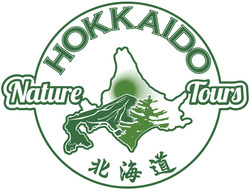 Summertime in Hokkaido is short, so most festivals in this season are all about getting outdoors to soak in the warm weather. Festivals range from the unusual, such as the bellybutton festival held in Furano, to the iconic, like Sapporo's massive beer gardens stretching through twelve city blocks. Let us know which festivals most interest you, and be sure to include them in your private, custom-made itinerary. ﻿ ​One of the biggest summer festivals in Hokkaido is the beer gardens which stretch for 12 city blocks along Odori Park, with hundreds of types of beer from dozens of breweries represented. Since Sapporo lies on the 43rd parallel, famously called the "Beer Belt", you can be sure that some delicious beer is brewed in Hokkaido. There is capacity for over 13,000 seats, great food stalls and it's a good opportunity to see locals interacting cheerfully with one another throughout the warm days and into the cool nights. Possibly the most quirky festival in Hokkaido, the Hokkaio Heso Matsuri, or Bellybutton Festival, commemorates the fact that Furano lies in the geographical center of Hokkaido, much like the bellybutton is the center of a person. Dancers decorate their bellybuttons and compete for top bellybutton dance prizes, while thousands of bemused spectators revel in the humor. This festival is not to be missed if your schedule allows. This nightly fireworks festival over Lake Toya lasts about 20 minutes, and is best viewed from a lake view hotel room or the Lake Toya ferry which has a special firework viewing nighttime cruise. The show starts at 8:45pm, and we aim to include lake view rooms with every booking. ﻿Every July, the Pacific Music Festival turns Sapporo into a haven for classical musicians, when masters and students come to spend a month showcasing their talents at dozens of venues in Sapporo. The outdoor venue at the Sapporo Art Park is a highlight, as music and nature lovers sprawl out on grassy fields to enjoy the outdoor musical performances. Please let us know if you have interest and we'll arrange tickets for performances around Sapporo. ﻿Sapporo turns into a city of jazz every July as domestic and international bands converge on this northern city to create one of the country's largest jazz festivals. There are numerous venues around the city, with the most famous being the Sapporo Music Tent at Odori Park. Said to be the oldest festival in Hokkaido, the Esashi-Ubagami Shrine Festival commerates a time when the export of herring to the rest of Japan was one of Hokkaido's largest industries. Today, spectators can see thirteen large floats paraded through town to and from local shrines. ​At this summer festival in sleepy Numata town, dozens of huge lanterns are paraded through town, and then the real fun begins as they crash into one another trying to destroy each other's tsurimono as the boisterous crowd cheers on. This festival was originally held to ask the Gods for a successful fall harvest. ﻿Most Japanese people truly love fireworks, and summertime is fireworks festival season. The largest fireworks festival in Hokkaido is held in Obihiro, where 20,000 fireworks of all kinds blaze the night sky to the oohs and ahhs of the receptive crowd. 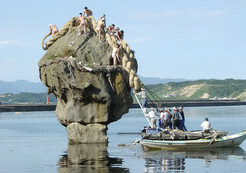 Esashi town once again comes to life at this unusual festival dedicated to the sea Gods, when local men climb a precarious rocky outcrop in the Sea of Japan to change the ceremonial rope used for its protection. There are also musical performances, a parade, and of course, innumerable stalls offering mouth-watering gourmet from the sea.